Which is the best tablet under 10000? Looking to buy best tabs under Rs 10000 in India? Then you landed at the right place. When it comes to the professional and college work we need a device which can do our work easily. Like if you want to show power point presentation then tablets are the best choice to buy and perfect alternative to the laptops. As tablets are less popular than smartphones which mean information on tablets is less available that is why I have made a list of top 5 tablets below Rs 10000 in India. We have covered up all the android and windows tablets under 10k. Listed tablets below 10k have minimum 2GB RAM which ensures you the lag free android or windows experience. All the tabs within Rs 10000 are best at their place and have calling facility and SIM card slots in them. All the tablets are compiled according to the suggestions processed through Tech Guru, NDTV, Smartprix, My Smart Price and 91 Mobiles. 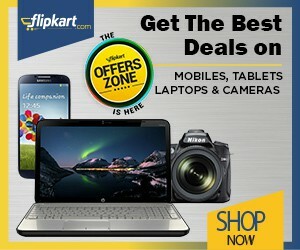 Related: Best Tablets Under Rs 5000 in India and Best Tablets Under Rs 15,000 – Rs 20,000 in India. Note that the list is randomly generated. It is not like #1 tablets is best in all. All tablets are best there place. Do check and comment. Check out the list of top 4G VoLTE tablets under Rs 10000. Here comes the Tab from the most trusted player. The Samsung Galaxy Tab A 7.0 is the less powerful version of the Galaxy Tab 7. It has got the specs which are not the best but a good deal when getting the quality of Samsung. It runs on Quad-core 1.3 GHz Processor, has got 1.5 GB of RAM, a 7 inches screen with 600 x 1024 pixels resolution. It has also got a micro-sim slot, a 5 MP camera, 8 GB internal storage, and good battery life. Overall, this tablet is for those who have simple use and need a good and trustworthy brand. All the tablet’s we have seen above sport a 6 inches screen but if you need a bigger screen around 7 inches then this iBall tab can be a good option. It has a 7 inches screen with 1024 x 768 pixels resolution. It runs on a 1.2 GHz Quad Core Processor which delivers good performance. It has 2 GB RAM and 16 GB internal storage which can be expanded up to 32 GB. It has a 5 MP rear camera and 2 MP front-facing camera. It has voice calling facility and it is Dual Sim compatible. It has got a 3500 mAh Polymer which delivers good battery backup, Overall, it’s a good tablet if you need a bigger screen but if you can be comfortable with the 7 inches screen then buying the above tablets will be a better choice than this. This is one of the finest Android tablets of all times. The Micromax Canvas Tab P802 is manufactured by Micromax and the tab is great. It has amazing performance and a very clean and simple design. It is powered by a Quad-core 1 GHz Qualcomm Processor which has very good performance and with 2 GB RAM it makes sure the tab doesn’t lag. It has a very good 7 inches screen with Full HD 1200 x 1920 pixels resolution and 323 ppi pixel density which makes the display awesome. It has a good 5 MP primary camera and a 2 MP front camera. Also, being a nexus device, it runs on the very latest Android Marshmallow and it will continue to get the future updates. It comes with 16 GB internal storage which can’t be expanded but its sufficient. Also, it has 4000 mAh battery which gives good backup. The only shortcoming of this tab is that it does have a sim card slot so, its for those who need a tab for voice calling. Otherwise, it is a great tab for every purpose be it gaming, entertainment or work. The tab is perfect. Gaming can be high on our list while buying a tablet. And if you are among those who want a tablet for gaming then this can be a great choice. As the name suggests, the tablet is specially designed for gaming. First, let’s talk about the looks of the tablet which are quite impressive and the back gives you a feel of a great gaming console. Not only the looks but the processor of the tablet is also great for gaming. It runs on the Quad-core 1 GHz Processor which is very good and optimized for gaming. It has 3 GB RAM, 7 inches HD screen, good storage, and good battery life. Though this tab is great for gamers, the iBall Slide Brisk 4G2 can deliver even better gaming performance but if you want to save some money, this is a very good gaming tablet. The above tablet’s we have seen does have the voice calling facility so if you want the one more with voice calling then this is the best choice in this range. The Swipe Strike 4G voice tab has a beautiful design and good build quality. The tab has Quad-core 1 GHz Processor and 1 GB RAM and it delivers good performance. It has Dual Sim facility and it is 4G enabled. It has 7 inches HD screen which is good. The 5 MP primary camera and 2 MP front camera are also good. It has 16 GB internal memory which can be expanded up to 64 GB with the help of microSD card. The 3000 mAh battery delivers very good battery backup. Overall. it is a good tab and if voice calling is your need then it will be the best. At the last spot, again we have a good tab from Asus. It is powered by a 1.1 GHz Quad Core Processor and it comes with 2 GB RAM. Though the processor is not Octa-core, it delivers good performance. The tab has the simple yet good looking design, it has 7 inches screen with 1280 x 800 pixels TFT display. It also has the voice calling facility with Dual Sim capability. It has a 5 MP rear camera and a 2 MP front-facing camera. It has 16 GB internal storage which is expandable up to 32 GB. It is powered by a 4600 mAh Lithium – Polymer. Overall, it is a good tab and can be another good choice for those looking for a voice tab.